No one is sure how this all got started but it’s become one of the more unusual traditions in all of Japan. For hundreds of years, it’s been building and now taking a modern approach that just adds to the madness. It all ties in to an ancient belief that the cries of a child could ward off demons. 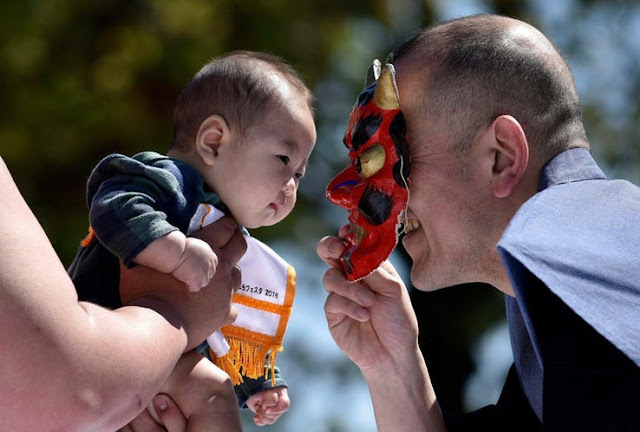 Thus, at the Sensoji Temple, thousands will gather to watch as sumo wrestlers (in nothing but their usual wrappings) will hold up babies and the crowd encourages the kids to cry. The idea is their cries will give power to the temple and ward off evil. The loudest crier is promised a happy and long life ahead. For most of the year, the Ueno Zoo is a quiet place with a few historical notes to it. It was home to the first monorail in Japan and achieved fame for the story of the keepers trying to save the lives of its inhabitants during World War II. Today, it boasts some good attractions and is a fun place to take the kids. But every other year, it’s home to a ceremony that is truly weird. 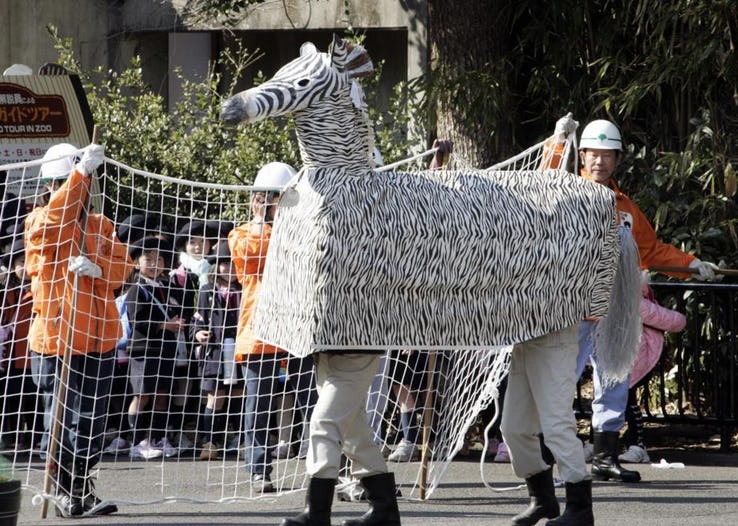 In February of odd years, the Zoo has an event where keepers dress up in elaborate animal costumes of monkeys, zebras, rhinos, and others and proceed to “go wild.” Meanwhile, 150 of their co-workers along with police and others try to hunt them down. They actually claim it’s an elaborate drill to show what happens should a real animal get loose. 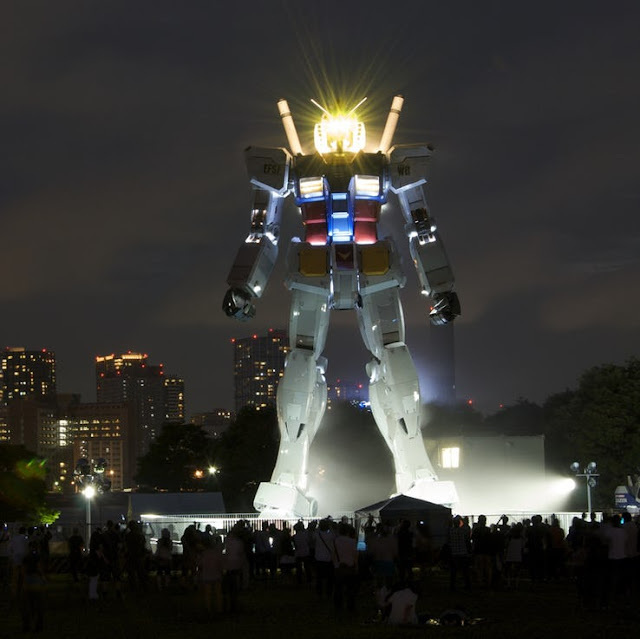 One of the most popular Japanese anime series has been Gundam. It’s gone through a lot of versions over the years and various shifts but remains best when sticking to its basic concept: In order to fight an alien invasion, soldiers pilot ships that double as huge giant robots with a variety of abilities. The show is an institution in Japan and popular overseas as well. In 2009, to celebrate the show’s 30th anniversary, the studio created a massive “life-sized” 65-foot Gundam robot. It was taken down but, realizing how popular it was, the studio put it up again in Tokyo Bay as if it’s standing guard for an attack. It was briefly taken down for a remodel in late 2017 but back up again to continue its odd “watch” and how dedicated Japan is to some fictional character. In Japan, the tale of the 47 Ronin is one of the most revered legends ever. When their master was betrayed, his loyal servants planned a long-term revenge. They pretended to be Ronin, masterless samurai, falling into lives of thieves, mercenaries or drunkards. They waited over a year for their enemy’s guard to be down before striking and gaining their revenge. Their duty to their master complete, all 47 committed seppuku. Like many legends, it’s hard to differentiate fact and fiction but it has inspired numerous stories in Japan. All 47 are now buried at the Sengaku-Ji temple in tightly packed rows. Visitors are greeted by paintings and scrolls telling the story and how it shows the honor of the bushido era and how important it is in Japanese culture. Hayao Miyazaki is seen as one of the greatest and most influential animators of all time. For decades, fans not just in Japan but around the world have hailed his works like Kiki’s Delivery Service, My Neighbor Totoro and the Oscar-winning Spirited Away. While he agreed to a museum for the studio, Miyazaki insisted it takes on the same unique approach he had to his films. 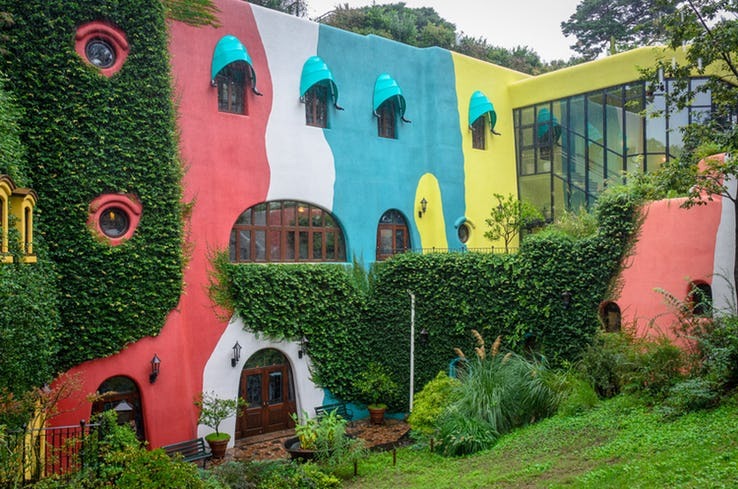 Thus, guests enter a vine-covered building passing statues of Totoro (the studio mascot) and other characters. Inside are special tributes to the studio’s past hits and looks at the hand-drawn animation style that still dominates in Japan. 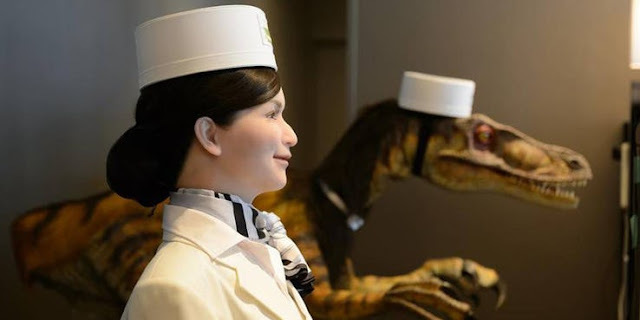 There are also life-size replicas of some beloved sets from the films as well as various interactive exhibits featuring different styles of animation. English-speaking staff help to showcase how the power of Ghibli is beyond just the Japanese. Hello Kitty has a following of sorts in the U.S. In Japan, the character is bigger than Mickey Mouse. For decades, the country has gone wild for the adventures of the cat-like girl and her friends in comics, cartoons and more. Thus, it’s not a huge surprise that there’s a park for them. Sanrio Puroland brings to life not just Kitty but other characters from the popular studio and lets them mingle with guests in shows. The highlight is a boat ride of their adventures but it’s unique to just walk around and take in the cartoon world brought to life in an over-the-top manner the Japanese love. The little kids will get more of a kick out of it but adults can enjoy the sheer cheesiness of it all. 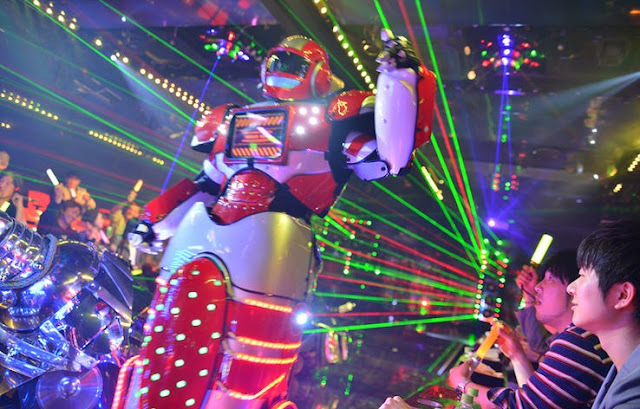 Sure, you can do the traditional Japanese meals at places but the city also has some truly unique dining establishments that make Las Vegas look tame. You can see a dinner show made up entirely of robots; eat in a recreation of Lewis Carroll’s Alice in Wonderland; a café based on vampires where it’s always night; a place where you catch your own fish to eat; an eatery recreating the Japanese elementary school lunch experience; a crime-fighting café run by real private detectives; and a bar run by a Buddhist monk who blesses the drinks. That’s not to mention a few places whose themes can’t be printed in a regular guidebook. It shows how the Japanese have a flair for sparking up the meals with some wild themes. It took six years to build what is officially called the “Shuto Expressway No. 11 Daiba Route - Port of Tokyo Connector Bridge.” Everyone else in Japan calls it the Rainbow Bridge for good reason. Spanning northern Tokyo Bay between Shibaura Pier and the Odaiba waterfront, the 2618 foot long bridge is a great sight in the day with plenty of joggers and tourists taking in the view of the water and the city from its span. It’s nighttime that it becomes magical thanks to how the wires are able to absorb solar energy during the day and channel it into the lights atop the suspension. Thus, every night, it glows brightly in a variety of colors that can be visible for miles. The roles of the Emperor in Japan, like many countries, has become more of a ceremonial position nowadays. However, it still has a power that the Japanese people respect and thus the Imperial Palace is a dominant sight in Tokyo. It was built on the site of the ancient Edo Castle and thus maintains the power of Japan’s past. To put it in perspective, at one point, the Palace grounds were valued to be worth more than the entire state of California. It’s generally closed to the public except for special tours, and when the Emperor gives a speech every New Year’s. The Garden areas are more open and worth seeing for their gorgeous architecture and the abundance of flora. There’s also a ceremony whenever a new ambassador arrives in a horse-drawn carriage to meet the Emperor. It may not be as vital as it once was but the Palace is still an area of high Japanese importance. 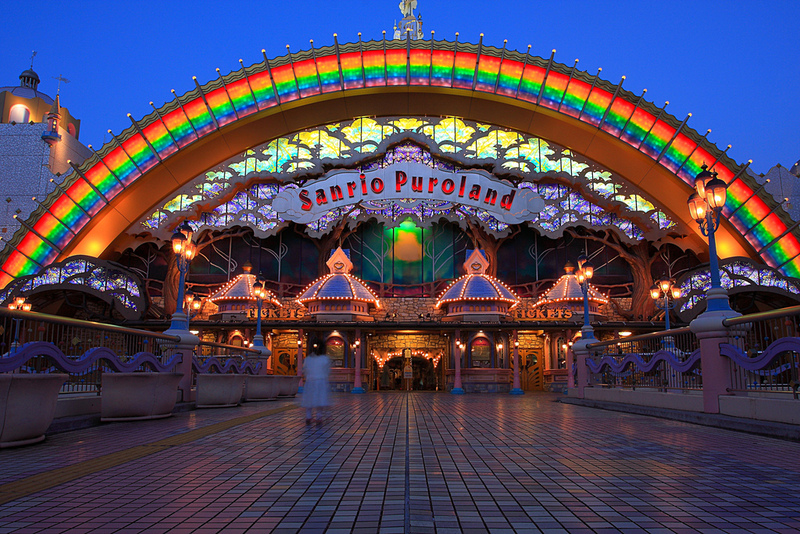 Opened in 1983, Tokyo Disneyland has been a huge hit for 35 years. Its main park is a recreation of the usual Magic Kingdoms with clones of various rides. 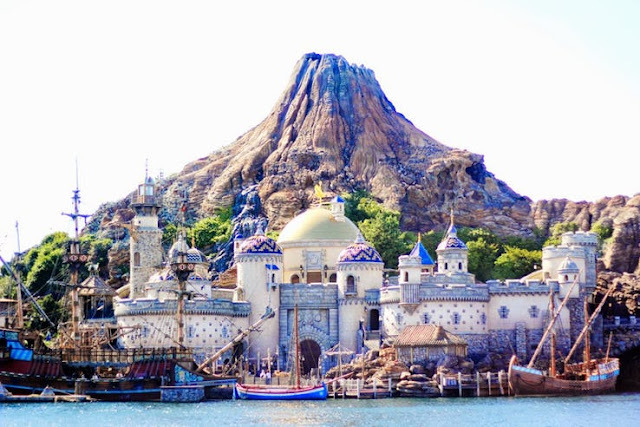 However, DisneySea, which opened in 2001, is far more unique. This park is based on the oceans of the world with some terrific areas themed after exotic ports. Some rides are copies of other parks’ but it boasts original areas too. The highlight is the Mysterious Island section with a huge area inside a hollowed-out volcano which featuring rides such as a Journey to the Center of the Earth and Vulcania coaster. The Raging Spirits coaster is also popular as well as the fantastic water show. 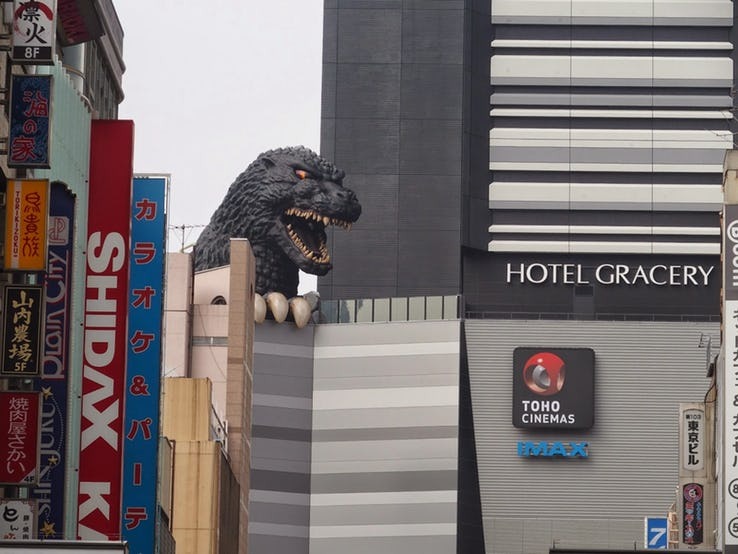 Godzilla may be popular in the U.S. with its movies. However, in Japan, it’s a cultural icon. Dozens of movies have featured this famous lizard with its atomic breath smashing up Tokyo on a regular business while doing battle with other monsters. What makes it fun is that rather than go pure CGI, the modern Japanese movies still use the classic idea of a guy in the suit fighting miniature cities. Thus, it’s natural that the Toho building (the studio that makes the films) would pay tribute with a “life-sized” head of the lizard atop it. It stands at 40 feet tall, lunging outward and a clawed hand seeming to clutch at the building. You can get a selfie with it in the background. Everyone knows it’s a risk to walk in a busy city. However, Tokyo boasts an intersection often cited as the single busiest in the entire world. 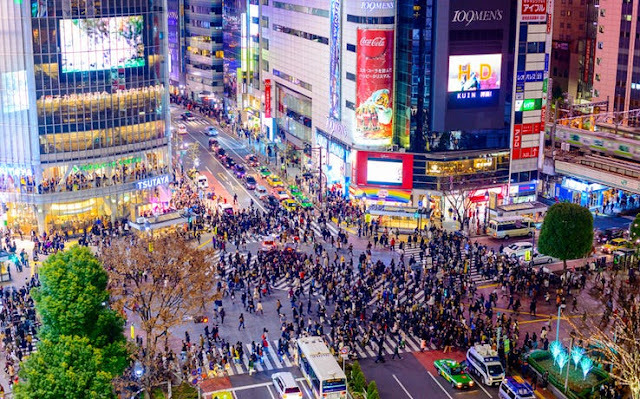 Shibuya houses the two busiest railroad stations on the planet along with a huge shopping and business district. 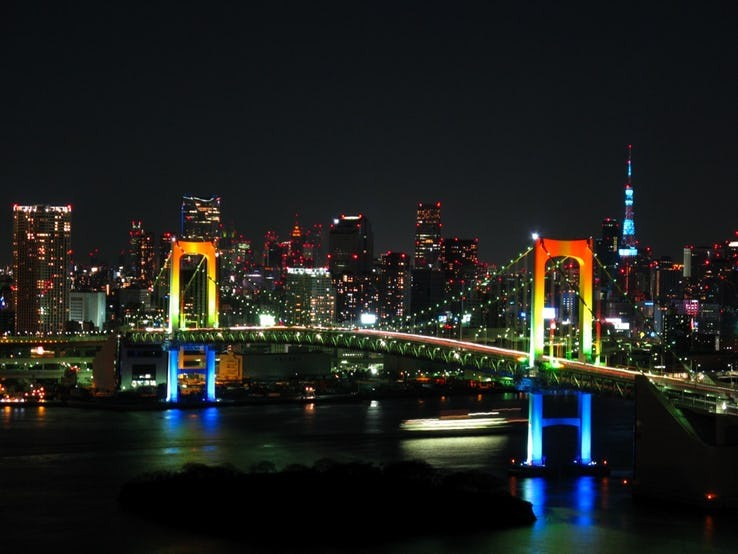 At nighttime, it’s a tourist mecca with shops and clubs and its neon lighting can be seen from across the city. It’s estimated that every time the light changes, 3000 people cross the street. Doing the math, that means this one intersection sees more people in a single day that some entire cities in the U.S. Amazingly, there is almost never any accidents as the Japanese traffic system is very good and the people there are used to being in a hurry. 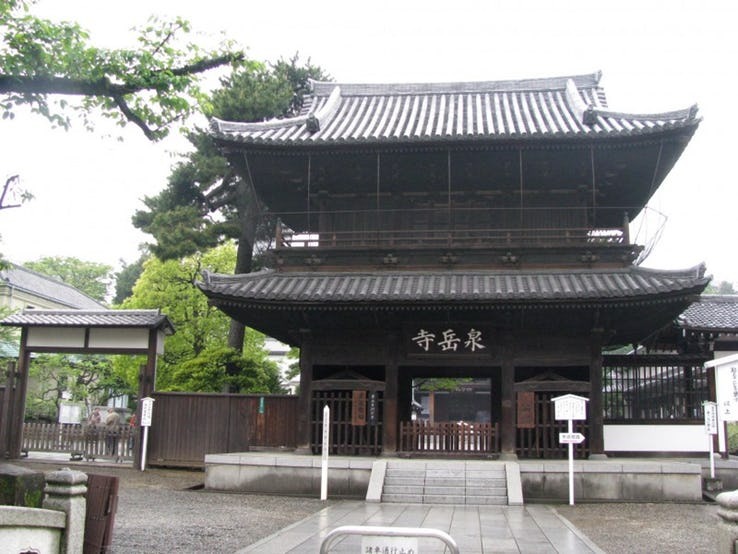 There are slews of temples across Japan with a variety of religions. Ceremonies are common and always a unique sight. Yet one temple sends blessings, not on yourself or your family but…your electronics. 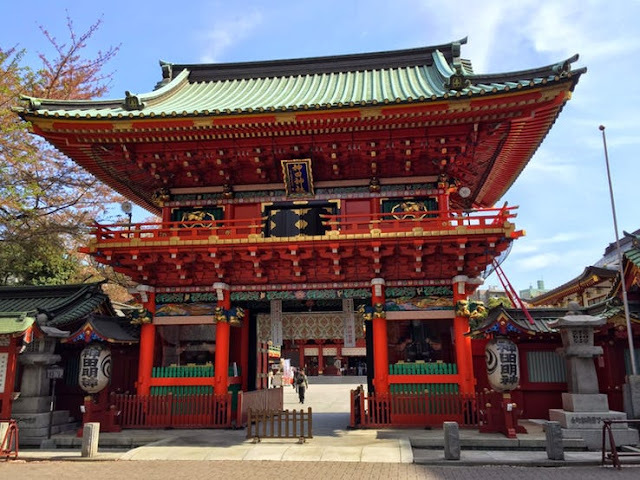 The Kanda Shrine has stood for over 1700 years with much of the modern city built around it. The Shinto faith holds that every object in the world has an essence, even ones that are inanimate. It started in the early 2000s when computers were sold in Japan with talismans to ward off bad luck in the form of bugs and crashes. Before long, users were asking for pure ceremonies and Kanda agreed. It’s a full-on ceremony with priests in full robes but something bizarre about them doing these blessings on computers or cell phones. But many insist it works for them and shows how technology truly is revered in Japan. Folks love video games and they love go-karts. Leave it to the Japanese to combine them into a wild experience. As crazy as it sounds, a tour has guests not on a bus or train but rather taking go-karts, following a guide as they race up to 35 miles an hour across the busy city streets. The wild part is how guests dress up in cosplay from video game characters to superhero characters. The most popular are Mario and Luigi. 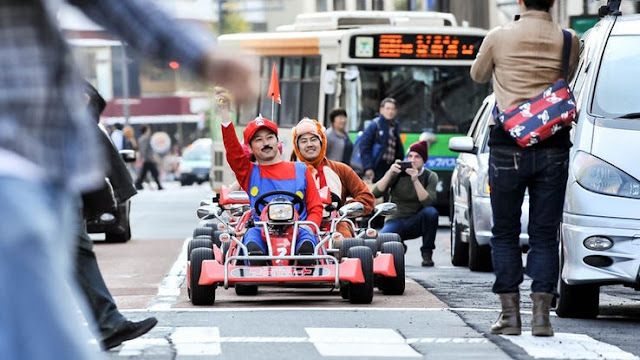 Thus, you can be walking the streets of Tokyo and see what looks like a real-life version of a Mario racing game flying right by you. It’s probably best to not go here after you’ve had a big lunch. Resting in in the relatively quiet Meguro neighborhood is a collection that’s guaranteed to get under your skin. The first floor isn’t too bad with a map of the nation and where you can find certain types of parasites. But then comes the walk-through of a variety of creatures, primarily the ones that can infect humans. Many were taken from actual people, giving them a creepier air. The highlight is the world’s longest tapeworm, almost 30 feet long. There’s also a catalog of about 60,000 more critters of various types and how they can infect you. Those with a major bug phobia may want to avoid this but others can be fascinated at the creatures lying under your skin. 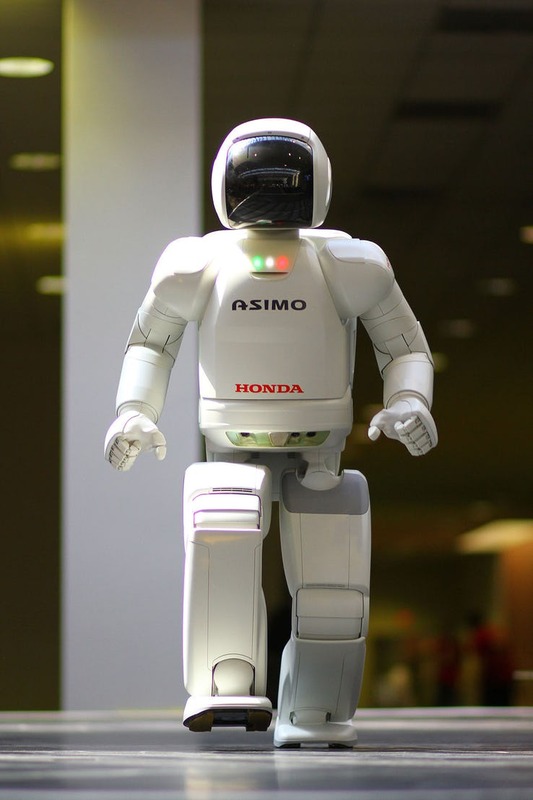 Created by Honda in 2000, ASIMO is hailed as the most life-like robot ever created. Standing over four feet tall, it’s capable of walking and carrying objects and looks for all the world like a sci-fi movie character come to life. It can detect people approaching and react to them and can even react to things like a falling object nearby. Its intelligence isn’t quite as advanced as some might hope as you can’t really carry on a conversation with it but it’s still an impressive sight. It does occasional tours but is mostly kept to the Mirakian Museum with a few copies elsewhere that are not as advanced. It may not be the Terminator but it is still an impressive step in robotics that shows the cutting edge tech Japan excels at. Sumo wrestling is something that’s never gone out of style in Japan. The sight of huge men slamming against each other in a circle to see who can be victorious is impressive and is serious business in Japan. It’s much harder work than it seems as these men do have to train hard in often harsh dojos which also involves a lot of cleaning up. It’s rather easy to set up a visit to a stable or beya although they do still try to keep an aura of mystique about them. You have to get up at the crack of dawn just like the wrestlers do and make sure to just watch and not be a distraction while keeping to proper etiquette. But it’s an intriguing look at how they train and offers an insight into a sport that’s a lot more than “fat guys wrestling”. 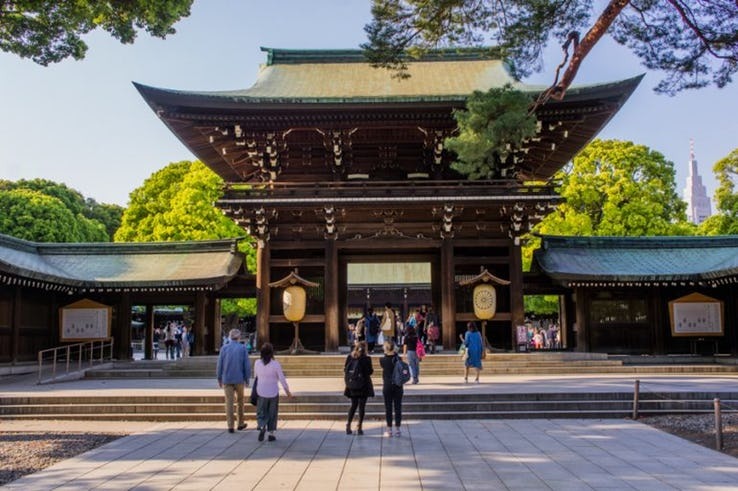 Built to honor one of Japan’s more revered recent emperors, the Meiji Shrine has become one of the most visited places in the entire city. Much of it was destroyed in World War II but has been rebuilt. The evergreen forest boasts thousands of plants from all over Japan, often becoming a good place for a picnic and gathering spot for locals. An inner area features a museum on the Japanese royal family while the temple can feature actual weddings. There are also slews of barrels of sake and wines kept for storage that becomes a sight in itself. The Japanese New Year is marked with a special ceremony at the Shrine with a procession and prayers and elevates the shrine to one of the best spots in all of Tokyo to see even without the religious overtones. Technically, it may take you out of Tokyo but a visit to Japan isn’t complete without a ride on their famous trains. 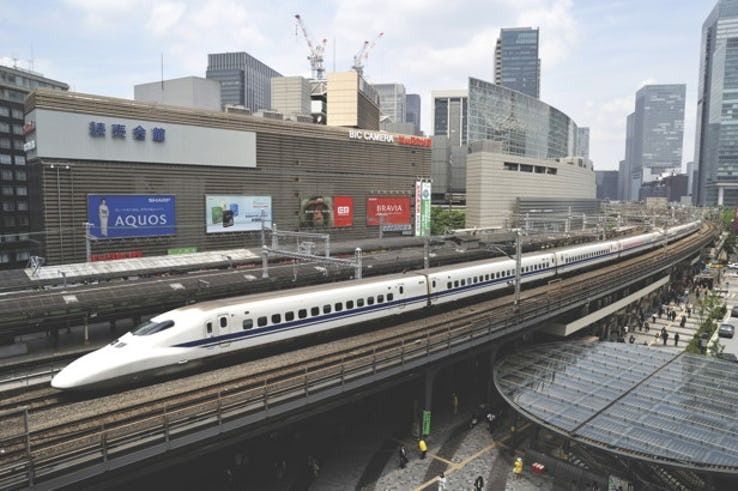 Originally built to connect Tokyo with more far-flung areas after WWII, the bullet train system is as much a tourist spot as for commuters. Trains are capable of going up to 200 miles an hour, an astounding speed and thus giving riders an amazing look at the Tokyo landscape racing by them. It also handles everything from bad weather to earthquakes and doing their best to handle changes to the landscape (such as rails damaged by the 2011 tsunami). Even standing by a rail station and watching as it flies past is an amazing sight and the experience is unlike any train on Earth. Even if it’s just a quick go-around the city, a bullet train is one amazing ride that can thrill as well as entertain with its sights. Yoyogi Park is one of the biggest in Tokyo and a major center, having been home for the 1964 Olympics. For the most part, it’s a great place to check out on a weekend for a variety of entertainment, games and other events. It is recommended to see it in the daytime as at night, a sadly seedier element starts to intrude. However, every Sunday, the park looks like you’ve stepped into Graceland. It seems Elvis has a good following in Japan and so everyone dresses up and has dance contests. 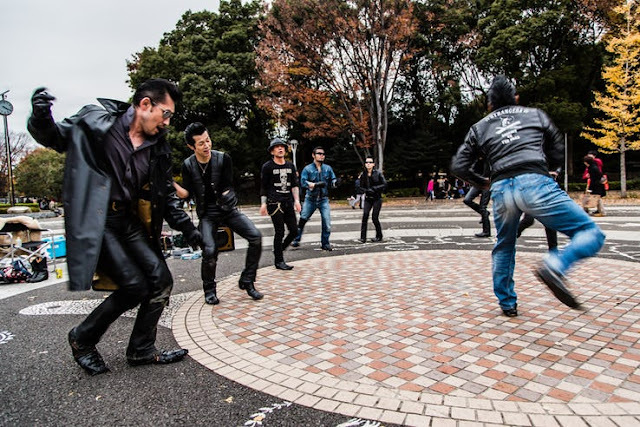 Something about the sight of dozens of Japanese men looking and dancing like “the King” is nutty but also oddly appealing. Some might find it a tad disturbing on several levels but it is very popular. The concept is obvious: A café of the ladies dressed in classic maid outfits complete with some handing out flyers for their establishments around Tokyo. There’s actually serious competition among the various cafes which means some can be a tad more risqué than others. They can literally feed you by hand and some cafes even have them doing full body grooming services as well as serving food in a traditional manner. There are rules over not being touched without permission although they can do photographs. 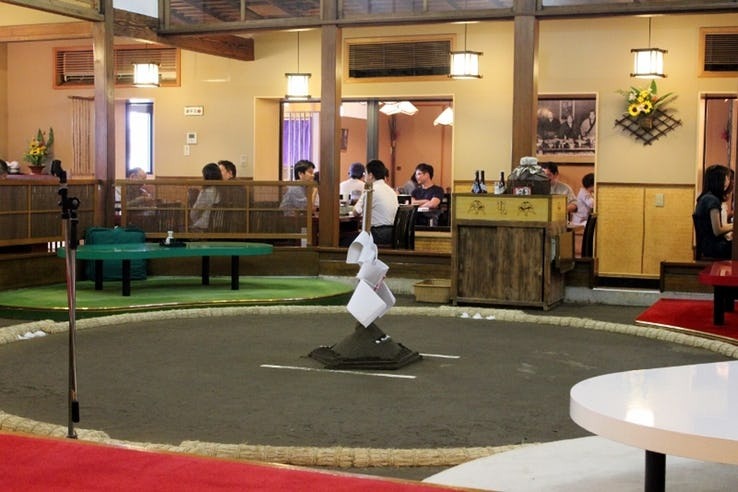 It may not be a place to take the kids but still interesting for a Japanese experience. 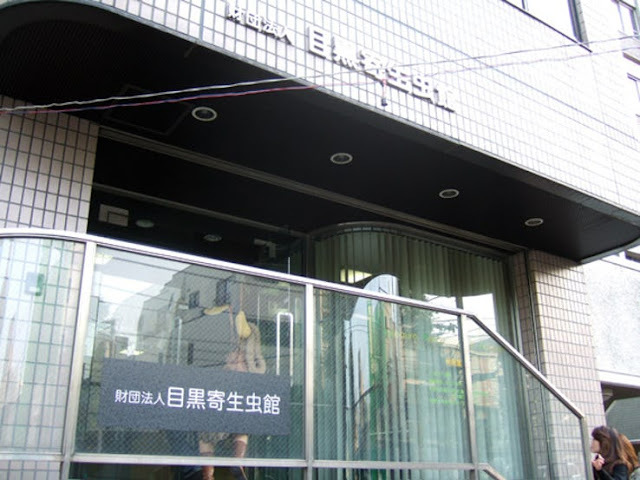 Currently, plans are underway to convert a former juvenile prison outside Tokyo into a hotel, which may seem an odd idea. However, there is a place already pretty close to that. 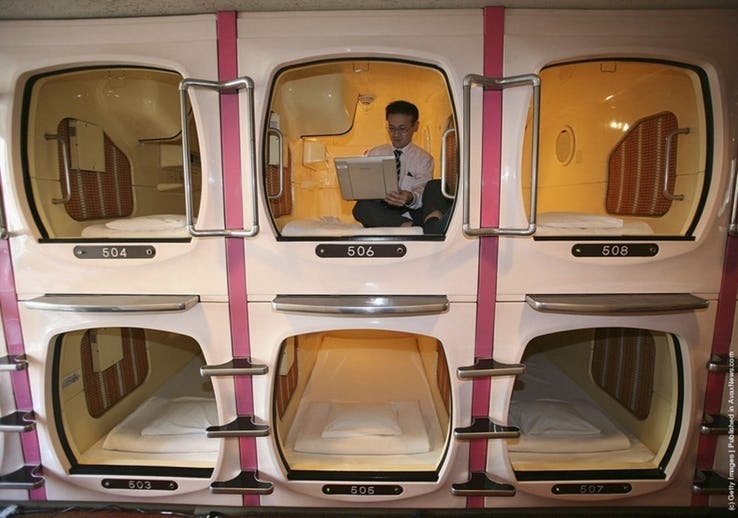 “Capsule hotels” is an idea in which the “rooms” are basically small pods just big enough to hold a person, a bag and that’s it. There is a small TV but the “bed” is little more than a hard cot built into the capsule and it feels so small that it makes a prison cell feel like a penthouse. The price is cheap, the most expensive place being only $35 dollars and thus, if you’re not planning on doing much more than sight-seeing, it can be good. It’s also popular for folks who may have had too wild a night on the town and need to crash. While there are a few in Europe, the majority are in Tokyo. Fans of a certain heartbreaking episode of Futurama may not realize it was inspired by an incredible true story. Hidesaburō Ueno was an agricultural scientist living in Tokyo. A regular sight in his neighborhood was him heading to the train for a trip and his dog, Hachiko, waiting patiently for his return. In 1925, Ueno passed suddenly while on a trip. But in a sight that became famous, Hachiko waited at that train station for his master’s return every day for nine years. Even when others tried to take him in, Hachiko managed to get away and go to the train station, waiting in vain for Ueno until his own passing in 1935. 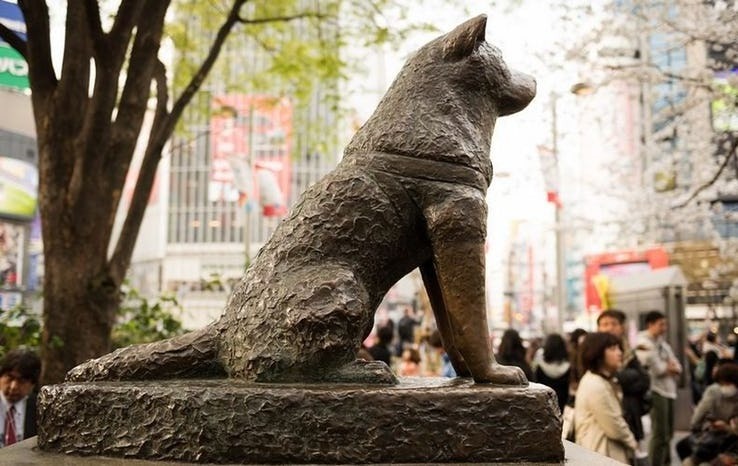 The story is a famed one in Japan and in 2015, a statue of Hachiko was unveiled at his gravesite (which is right by Ueno’s). Thus, you can visit a shrine to the greatest show of loyalty from a pet the world has ever known. Unlike in the U.S., arcades never fell out of huge popularity in Japan. Video games were born there and still huge business although some places have to go further than others to get attention. A clear case is the Anata No Warehouse, an arcade that looks more like something out of a cyberpunk movie like Blade Runner. 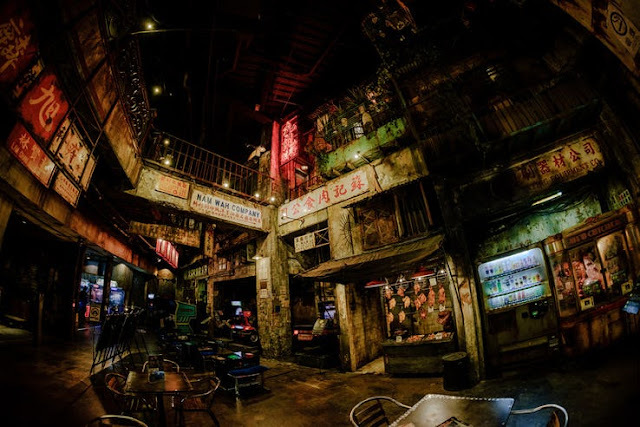 It’s modeled after the seedy back alley areas of Hong Kong. The arcade itself keeps up the motif with dark metallic paneling, spray paint and more while also boasting the latest in cutting-edge games. Another area is more straight-up fantasy with a fancy tunnel over a pond to look more unique. There are several arcades across Tokyo but few immerse the player into a new environment like this and thus makes it a major stop for any lover of video games or cyberpunk. Folks love to crack on how one day the robots will take over. In Tokyo, they take that to a wilder degree. The Henn-na Hotel is found in the Giza district and at first, you might think the receptionist is just a bit more flat than usual. But as it turns out, the staff behind the desk are all advanced audio-animatronics. The name of the hotel translates to “weird” and it sure lives up to that. It’s surprisingly frugal, adding up to about $80 dollars a night with just 98 rooms. Yes, there are human workers but you also see a robot bartender and the bizarre sight of a hat-wearing dinosaur carrying luggage carts around. It all adds up to a very strange experience that makes this a sign of the future that may be upon us soon.